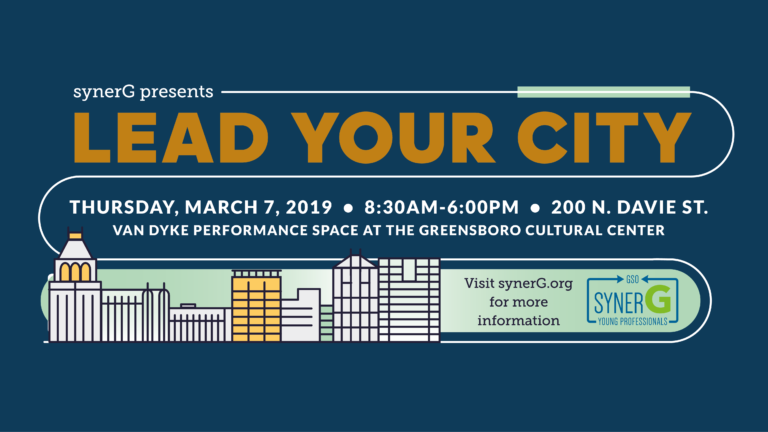 Join synerG at the 2019 Lead Your City summit on Thursday, March 7th! The Lead Your City summit is an opportunity for young talent in Greensboro to grow their leadership skills, build on their ideas, serve their community and connect their network. This year’s summit will focus on wellness and health in our community, in our workplaces and in our personal lives. Save the date for 2019 Lead Your City – 21st Century Wellness: Healthy City, Healthy You! Tickets will be available to young professionals under 40 for $35. Sales will begin soon.